Developer Simon,Choi has released an IOS app project in Object Pascal for Delphi XE7 that does not use the Firemonkey framework. Firemonkey is the graphical framework which provides all of the components and other goodness that gives Delphi it’s rapid application development. The project is similar to a command line app for Windows in that it is all contained within the project file (no forms) and then you do everything using the IOS API. In the sample code it uses the native IOS TUITextField on a TUIViewController to display a line of text on the screen. It’s great that Delphi provides the two extremes of a full graphical framework like Firemonkey and at the same time you can go completely bare and use all native API if you want too. This app is different from DPF IOS in that the DPF IOS components still use the Firemonkey framework and allow for UI design. This demo is a code only straight API example. The benefit to doing a native only app is that it reduces the final IPA file by almost 2/3rds. The downside is that you are no longer building a multidevice app. This project should also work in Appmethod. 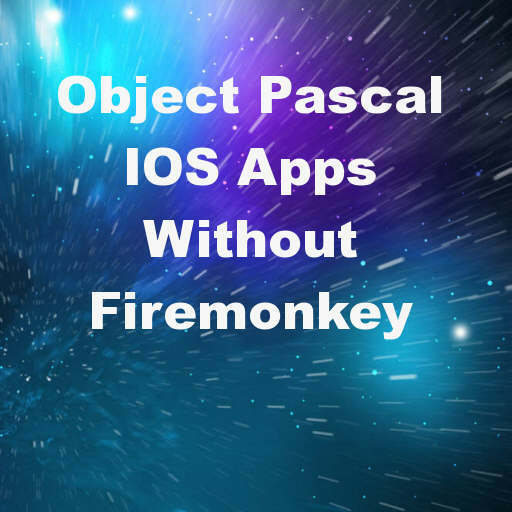 Head over and download the sample Object Pascal based IOS app that does not use the Firemonkey framework in Delphi XE7.